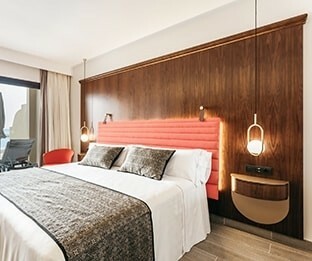 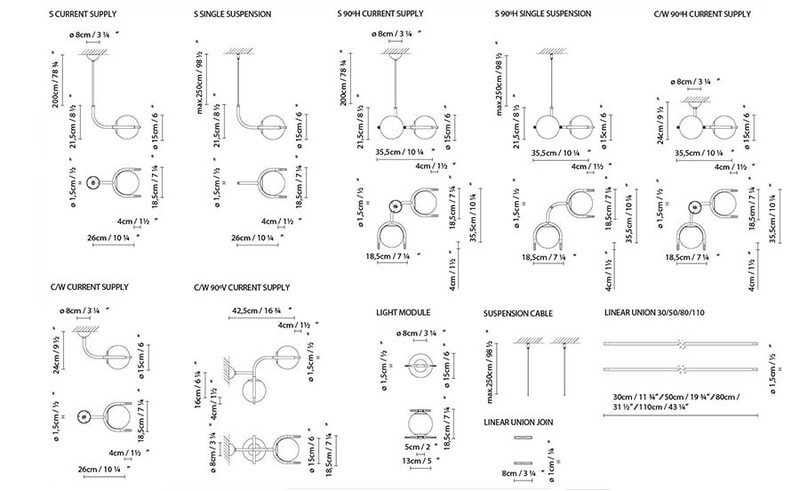 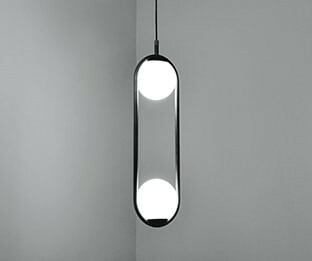 Lighting system that allows adapting the lighting to the spaces by using different wall or ceiling accessories. 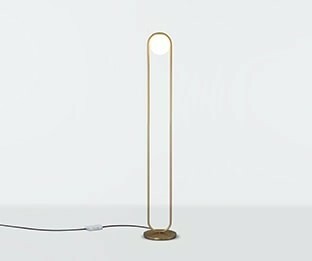 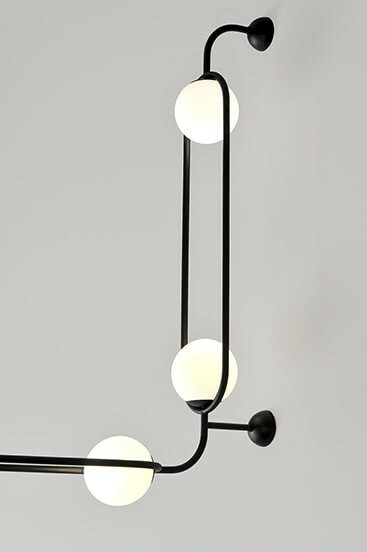 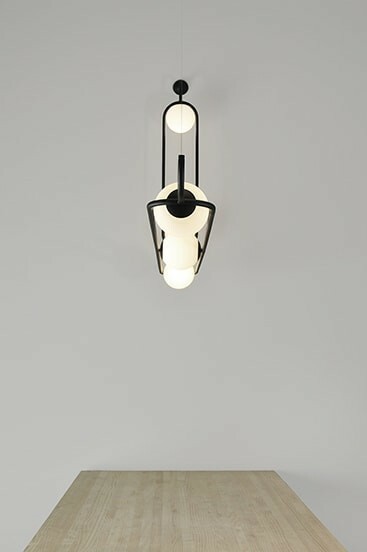 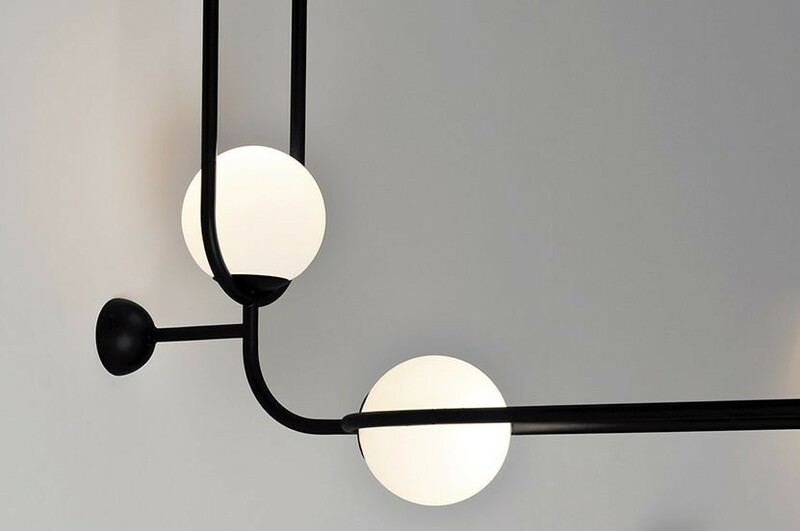 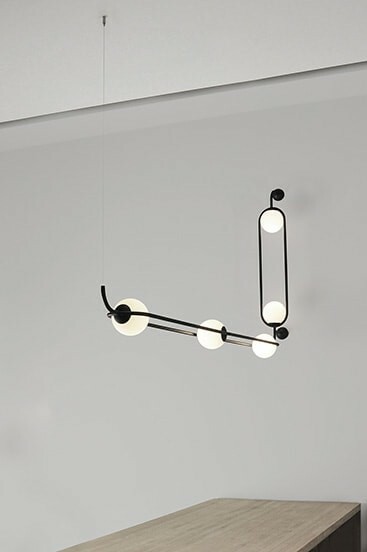 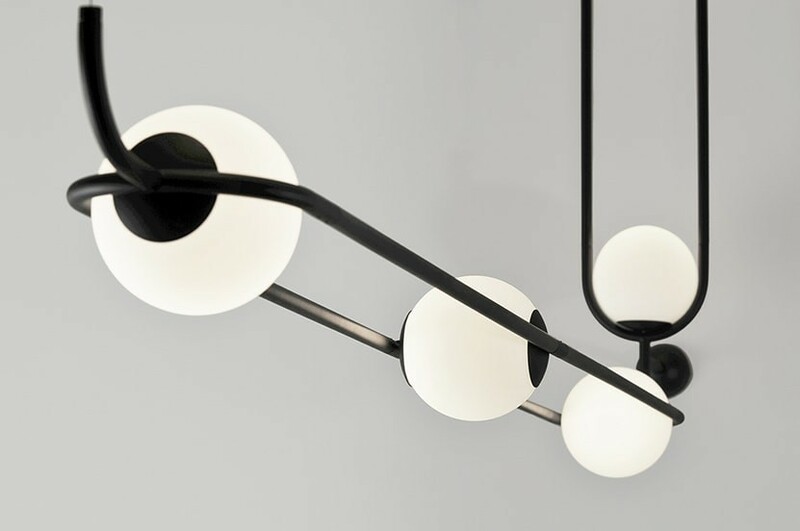 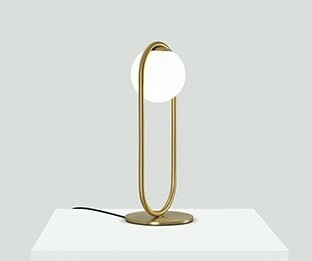 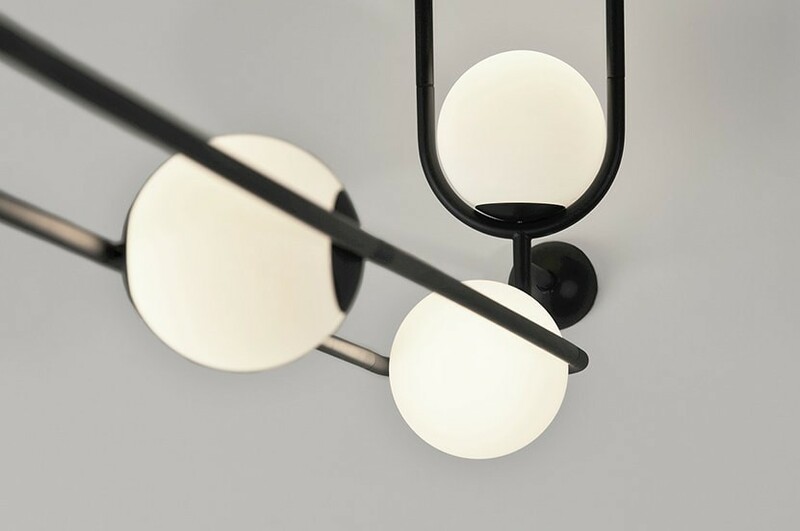 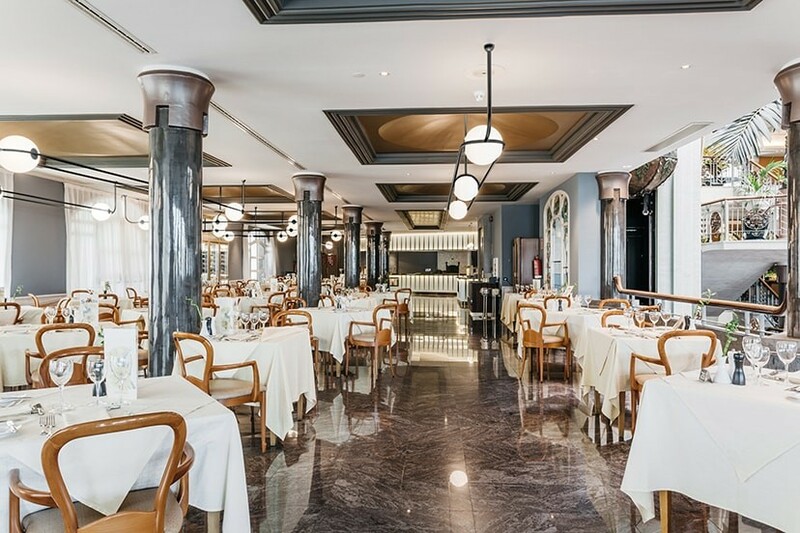 It is a tubular system to which lighted blown-glass spheres in an opal white finish, from the C_Ball decorative lamp collection, are attached. 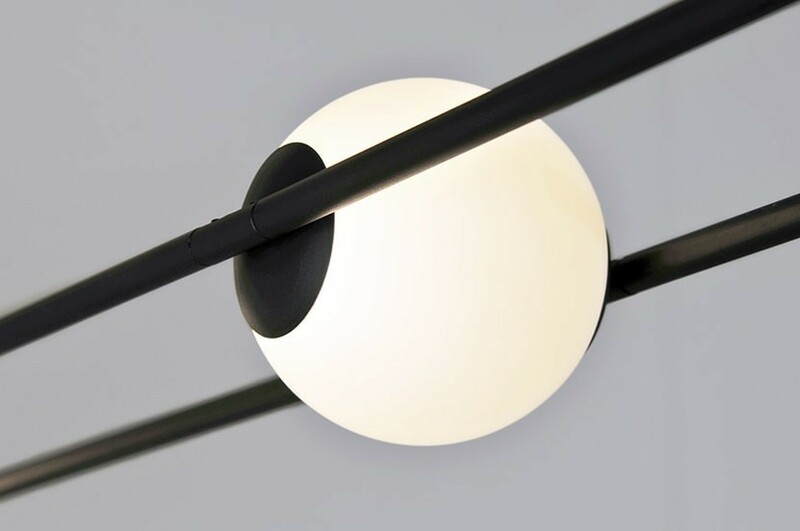 Its metal parts are available in a matte black finish.